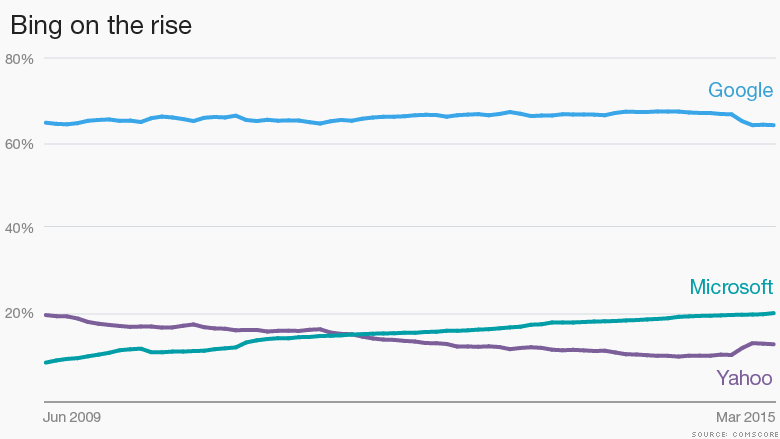 Bing crossed the 20% threshold in search for the first time in March. 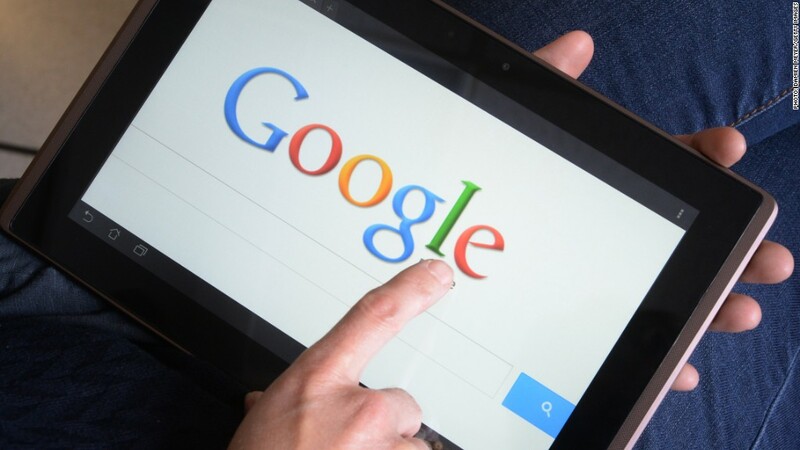 That's according to a new U.S. desktop search report from comScore, released this week. But wait, it gets even more surprising. Since Microsoft (MSFT) also serves Bing results on Yahoo (YHOO) sites, the effective number of Americans using Bing is actually closer to 1 in 3. Google (GOOGL) remains the dominant search platform for desktop users, but its share slipped slightly late last year and has since leveled off at 64%. Yahoo's share of search meanwhile has been declining since 2007, hitting a low of 10% last year. Its share saw a small spike in December, January, and February, helped in part by Firefox's decision to default its search engine to Yahoo for U.S. users. CEO Marissa Mayer has said search remains a priority for the company as it evolves into a content platform, and has made strides to improve its search business. In the fourth quarter of 2014, Yahoo's search revenue grew slightly to $462 million as a result of more clicks on search ads and a bump in the price-per-click that advertisers pay. For the past five years, Yahoo has been using Bing's search algorithms and delivering Bing search ads exclusively. But on Thursday, Yahoo announced it will try to improve its "search experience" by revising its deal with Microsoft. Going forward, only 51% of Yahoo's search results on desktop need to be powered by Bing, and Yahoo can power its mobile search with whatever technology it chooses. The revised partnership also merges Microsoft and Yahoo's sales operations. Microsoft sales teams will be responsible for Bing ads, while Yahoo sales teams will handle its own "Gemini" ads. " Under the old deal, Yahoo provided global sales teams for both.